Concentric AB has appointed Tom Herrington (43) Vice President Sales at its plant in Itasca Illinois, which manufactures oil, coolant and fuel pumps for the truck, bus and off-highway sectors in the USA and abroad. 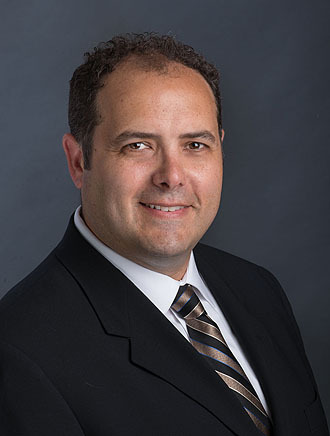 Tom, who holds a BSc in electrical engineering from Marquette University (Milwaukee, IL) and is currently working on his MBA at DePaul University (Chicago, IL) has spent more than 20 years in sales management and product development with two leading global suppliers to the automotive industry. He joins Concentric from BorgWarner Turbo Systems, bringing with him extensive experience with major OEM engine and truck customers both in the USA and Europe. Concentric Itasca Inc. is one of four strategically located plants manufacturing both variable and fixed-flow oil and water pumps, fuel pumps as well as lubrication pumps for transmissions and compressors. The other plants are in Birmingham, UK, India and China. Tom Herrington ist neuer Vice President Sales bei Concentric Itasca Inc.
Concentric AB hat Tom Herrington (43) zum Vice President Sales des Werks in Itasca (Illinois, USA) ernannt, das Öl-, Kühlmittel- und Kraftstoffpumpen für Lkws, Busse und Geländefahrzeuge in den USA und darüber hinaus produziert. Herrington, der einen BSc-Abschluss in Elektrotechnik von der Marquette University (Milwaukee, Illinois, USA) besitzt und aktuell an seinem MBA von der DePaul University (Chicago, Illinois, USA) arbeitet, hat mehr als 20 Jahren in der Vertriebsleitung und Produktentwicklung bei zwei führenden globalen Zulieferern in der Automobilindustrie gearbeitet. Er wechselt zu Concentric von BorgWarner Turbo Systems, von wo er umfassende Erfahrung im Umgang mit großen OEM-Kunden für Motoren und Lkws in den USA und Europa mitbringt. Concentric Itasca Inc. ist eins von vier strategisch gelegenen Werken, die Öl- und Wasserpumpen mit festem und variablem Durchfluss, Kraftstoffpumpen sowie Schmierstoffpumpen für Getriebe und Kompressoren produzieren. Die anderen Werke befinden sich in Birmingham (Großbritannien), Indien und China. Tom Herrington, newly appointed Vice President Sales at Concentric Itasca Inc.
Tom Herrington, neuer Vice President Sales bei Concentric Itasca Inc.